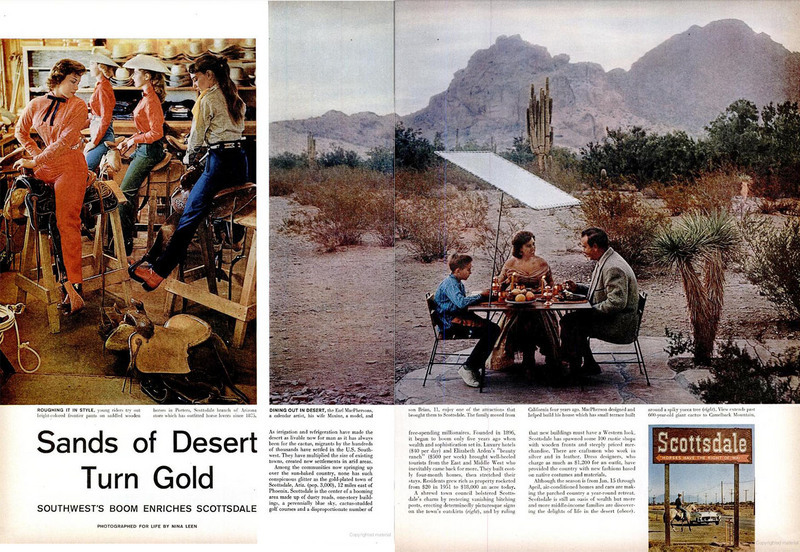 On March 12, 1956, America met Scottsdale on the pages of LIFE Magazine. Nina Leen’s photographic essay, “Sands of the Desert Turn Gold” introduced the burgeoning Western town, which had been incorporate only 5 years earlier. Here was a place where the Old West had never become old, where horses were as common as cars, and whose glamour and refinement could satisfy even the most expensive tastes. Scottsdale was quickly becoming one of the most popular tourist destinations in the Southwest alongside Santa Fe. Leen crafted Scottsdale’s national reputation as a center for authentic fashion and art inspired by the desert and created by its people. 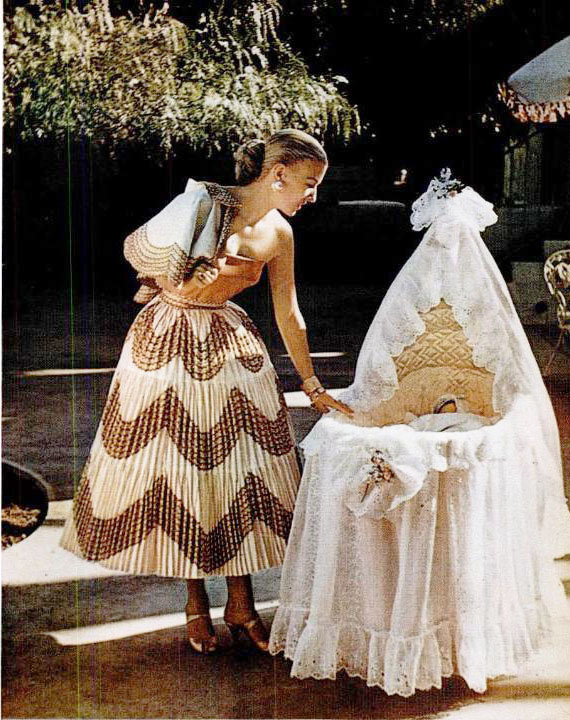 The influence of Leen’s article was evident at the time by the nationwide popularization of the broomstick skirt that appeared in the essay, a style that originated in Scottsdale as the “squaw dress.” It is considered a uniquely American fashion staple because it’s inspiration is rooted in Navajo and Mexican women’s dress. A city with skyrocketing property values, six-figure homes, three-figure dresses, and $50 gift wrap, Scottsdale seemed a city built by gold. 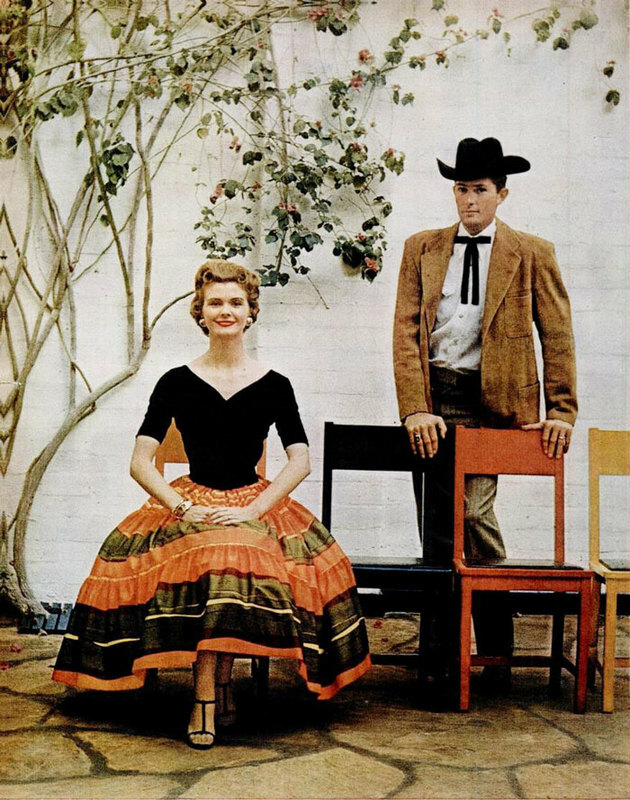 Selling Scottsdale's exclusivity and down-home cowboy charm appealed to middle-class audiences. Many visitors (and speculators) chose to remain. Only ten years after Leen’s article, Scottsdale had become the third largest city in Arizona. 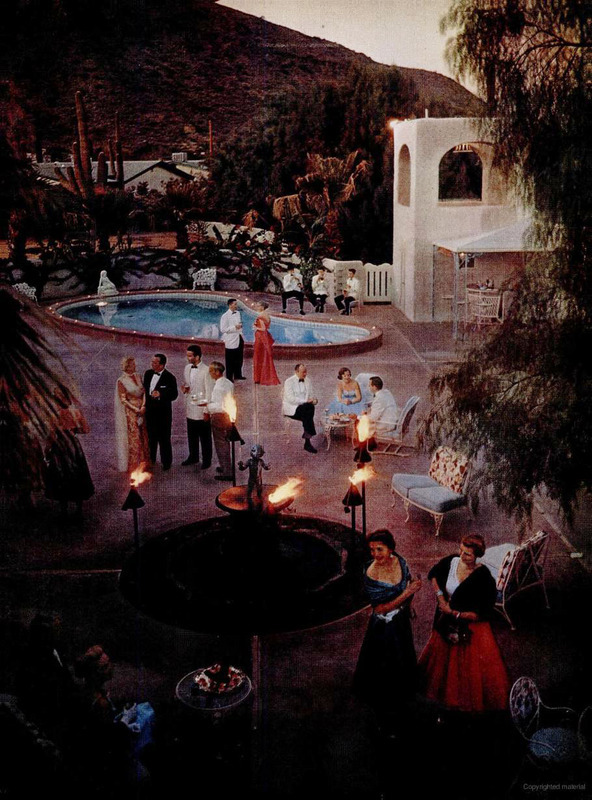 Cocktails on the Veranda: In 1956, dancing was still forbidden inside the town limits of Scottsdale. Leen accounted this to a “lingering fear of unruly cowboys and Indians.” The image of the outdoor party also highlighted the desert's glorious, year-round weather. Image taken from the pages of LIFE magazine, March 12, 1956. ~ Source: LIFE magazine, March 12, 1956. 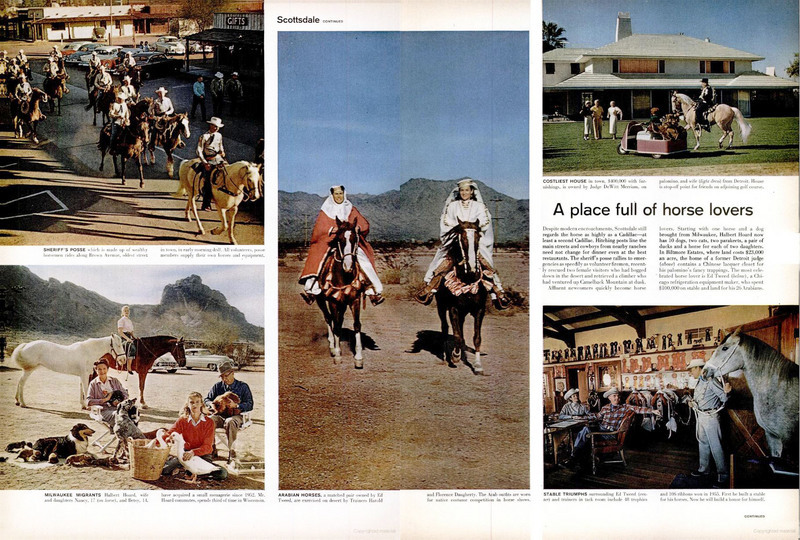 Horses and Cadillacs: Rewriting the history of luxury in terms of horses and cadillacs, Life Magazine emphasized a rustic vision of the American west as the basis for Scottsdale's elite status. Images are a page from Life Magazine. Southwest's Boom Enriches Scottsdale: Following the expansion of irrigation and refrigeration in Post-World War II America, agriculture and tourism thrived in the Salt River Valley; Scottsdale grew dramatically. Image of a page in LIFE Magazine. 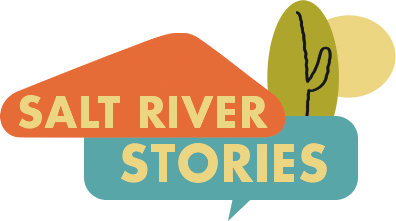 Laura Keller and Amy Long, “Desert Gold,” Salt River Stories, accessed April 24, 2019, https://saltriverstories.org/items/show/2.